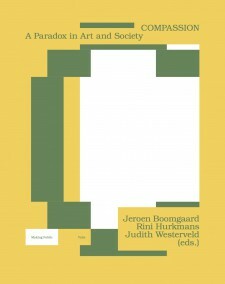 Being Public and Compassion, two new publications by Valiz and LAPS, Gerrit Rietveld Academie, ask how art creates the public and how the public shapes art. 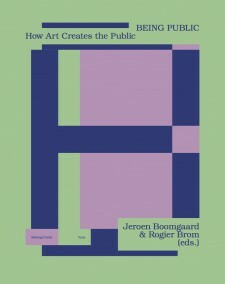 The books will be presented on Friday 2 June by Rini Hurkmans and Jeroen Boomgaard at Nieuw Dakota with a programme about the link between, art institutions, publics, and the public domain. What is the relationship between art and the public? This question has become more and more prominent in current debates on the significance of arts and culture. It is also one of the central themes in the first two editions in the new Valiz series Making Public. Compassion: A Paradox in Art and Society investigates what space an artwork can occupy in the public domain, how it can draw attention to ethical issues in society, and how it can spur individuals and groups into action. The starting point for this theoretical and practice-based exploration is the conceptual artwork Flag of Compassion, initiated by Rini Hurkmans. Being Public: How Art Creates the Public investigates, from different perspectives, the notion of ‘public’. The meaning of both ‘art publics’ and ‘public space’ have become complex in a time where boundaries between public and private are shifting, and where ‘the public’ actually comprises different groups of changing composition and identity. What does it mean to be public today? On the occasion of the release of these books, we invite directors and curators of three Dutch art institutions to reflect on the link between art, institutions, and the public. What role does the public play for art institutions, especially for institutions that aim to link art and the public domain? Binna Choi, director of Casco, Utrecht; Steven ten Thije, curator at Van Abbemuseum, Eindhoven; and Josien Pieterse, director at Framer Framed, Amsterdam, will share their visions and viewpoints. The conversation will be moderated by independent curator and writer Laurie Cluitmans. After the debate there will be time to reflect, discuss, and toast to the arrival of these publications. The series ‘Making Public’ investigates ‘the public’, the civil domain where space, knowledge, values and commodities are shared. Graphic design: Template Visual Design Studio. See www.valiz.nl for more information.